Thailand is a prime market for counterfeit goods. With its strong tourism, high demands for apparels, leather goods, watches, mobile phones, electrical appliances, spare parts , toys, CDs, DVDs, computer software- thus low cost being considered by consumers, the demand for fake goods, fake food, pharmaceutical products are being more prevalent. Piracy, infringement, replicas and counterfeit goods remain a challenge for Intellectual Property owners. Intellectual Property system in Thailand aims to protect and enforce intellectual property rights by controlling the counterfeit at the manufacturing level before its distribution and retail. Intellectual Property refers to creations of the mind which includes literary, artistic and scientific works; performances of performing artists, phonograms and broadcasts; inventions in all fields of human endeavor; scientific discoveries; industrial designs; trademarks, service marks, commercial names and designation; protection against unfair competition and all other rights resulting from intellectual activity in the industrial, scientific, literary or artistic fields. Thailand Intellectual Property Rights are legal rights towards patent inventions, product designs, trademarks, service marks, certification marks, collective marks and copyrights. What can be registered as Intellectual Property? Marks: Trademarks, service marks, certification marks, collective marks. Patents: Inventions, product designs, petty patents. works, cinematographic works, sound and video broadcasting works, computer software. How to protect your Intellectual Property in Thailand? Copyright law in Thailand protects the creator’s work by giving him exclusive rights over his work for a limited and substantial period of time. This way, the author of creative work will be able to control the economic use of his work in a number of ways so that he may receive payment. Copyright protects the creator’s “original work of authorship” such as literary work, dramatic works, musical works, sound recordings, pantomimes and choreographic works, architectural works, works of visual art such as pictorial, graphic and sculptural works, motion pictures and other audiovisual works, artistic and other intellectual works both published and unpublished against copying. Copyright protects the manner in which such facts or information is expressed, selected or arranged. The holder of a copyright has an exclusive right to authorize or prohibit certain uses of his work. Copyright prevents others from taking advantage of the creative work. Trademark is used to protect words, names, symbols, sounds, or colors that distinguish goods and services by the trademark owner from those sold by others. Since trademark is territorial, you have to register the trademark in Thailand. Trademarks can be renewed forever as long as they are being actively used in commerce. It must be a mark (which includes photograph, drawing, invented picture, brand, name, word, statement, letter, number, signature, group of colors, body or shape of objects or any or several of the foregoing combined. The mark must be used in connection with goods or services distinguished for the owner of the mark. The mark must be unique; not be the same or similar to the registered mark of another person. The mark must be distinctive. Distinctive means the trademark has feature that cause the public to distinguish the good using the trademark from other goods. To register a trademark, an application must be made by the proprietor or his representative under a power of attorney attaching specimens of mark at the Department of Intellectual Property. Documents need to be in Thai language. The trademark owner must have a fixed place of business in Thailand, or address in Thailand for Trademark Registrar’s contact. 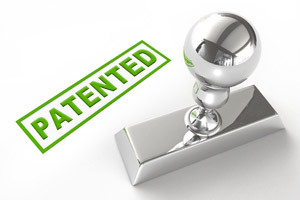 Patent is a right granted to an inventor of a product, machine, material or process to exclude others from making, using, selling, offering for sale, or importing his invention. A patent provides new way of doing something, new use for a known product, or offers a technical solution to an existing problem. In the patent application, the inventor has to disclose the invention to the public by providing a detailed, accurate written description of the invention. Patent is territorial meaning it must be applied where protection is sought. Machinery, tools, instruments, methods, systems, processes, compounds, formulations can be patented. Patent in Thailand is important mainly because it provides exclusive right to its use for a certain period of time without competition from other traders, thus providing owner’s monopoly. Patent brings commercial benefit and profit in terms of income earnings from royalties through others’ use with upon owner’s permission. It also adds value to the mark or name of a business, thus gaining goodwill and reputation for the business. When a is product has been patented, it is associated with quality goods and services.